Each summer, we host close to 200 guests at MCHS for a luncheon taking place in the heart of our 80-acre campus. Guests not only enjoy a delicious meal and take part in fun raffles, they also hear an annual address regarding MCHS as well as a keynote speech from a community advocate and supporter of the agency's programs and services. In 2017, guests heard a powerful message from Rev. Faith Fowler, Senior Pastor of Cass Community United Methodist Church and Executive Director of Cass Community Social Services. Fowler, a fierce advocate for equality and acceptance, worked at MCHS as a fresh college graduate and has always had fond memories of her time at the agency. This past year, our guests of the 2018 event heard from Dr. Bill Ritter, former pastor at Birmingham First United Methodist Church and published author, who shared some words of hope and wisdom with those in attendance. Click here for photos from this event! Check back soon for information about the 2019 In Bloom Luncheon! 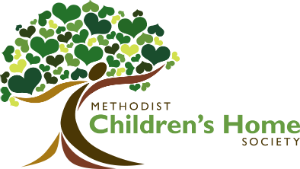 For information on event sponsorship opportunities, contact Kathryn Woodstock at 313-531-9969 or kwoodstock@mchsmi.org.